My mum serves brilliant Sunday dinners. 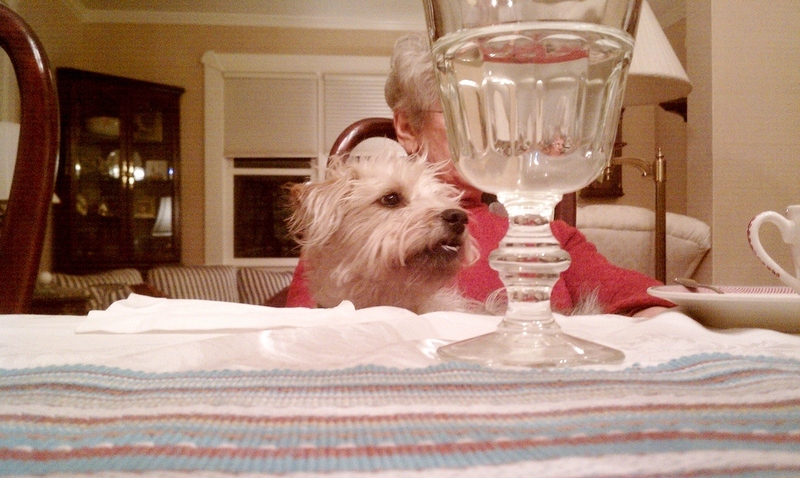 Our recent dinner guest, Willa Cather the pup, is one of Sir Winston Churchill’s closest chums. She liked sitting politely at the dinner table during dessert, whilst Sir Win paced at the thought of my mum’s gingerbread cake.